Our college aged daughter is heading back to school today. We have really enjoyed having her home over the break. There is just something so comforting about having all my kids back under one roof. 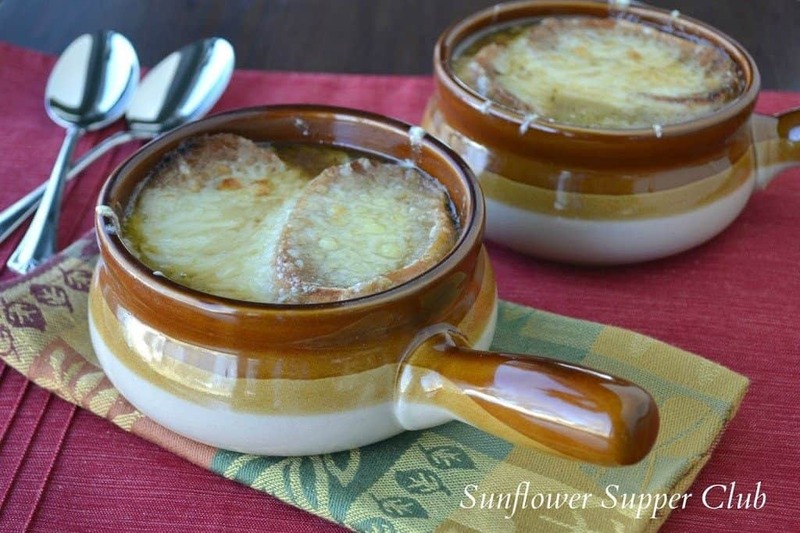 One of the meals she always requests when she is home during the cooler months is French Onion Soup. We had already made it a couple of weeks ago, but she requested we make it again before she left. Due to a busy day, I decided to try caramelizing the onions in my slow cooker. If you love caramelized onions like me, this will change your life. Other than stirring them a couple of times while they were cooking I literally put them in the slow cooker and forgot them. The house smelled amazing. My onions above were cooked for 10 hours. Since I was using them for my French Onion Soup, after 9 hours I added a few tablespoons of balsamic vinegar. The onions will naturally release a lot of liquid on their own, which is delicious in a soup. If you want some of the liquid to evaporate, leave the lid ajar and continue cooking for a couple more hours. Use as a topping for burgers, sandwiches, cooked pasta dishes or a pot of risotto. Yum! 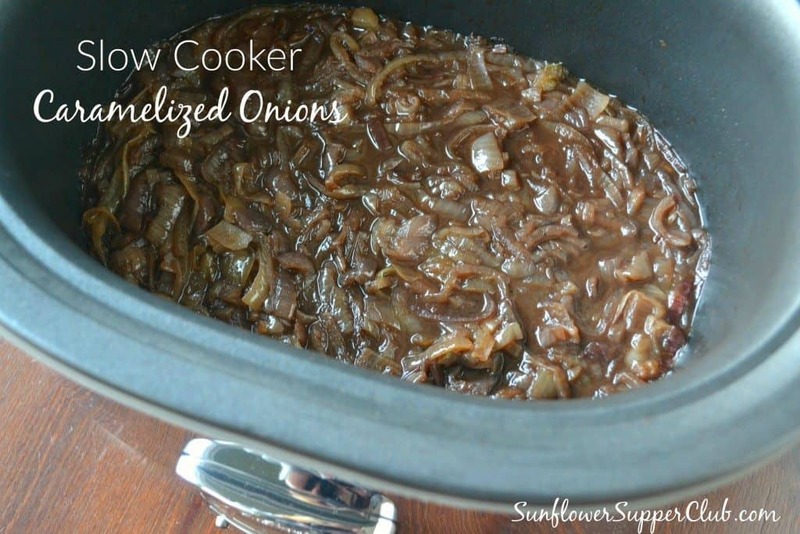 Place the onions in a large slow cooker. Pour the melted butter over the onions and season with salt and pepper. Stir to coat the onions. If you would like some of the liquid to evaporate, leave the lid ajar for the last couple of hours of cooking. The onions will keep for a week in the refrigerator or 3 months in the freezer. If you’d like to try our French Onion Soup, just stir in the rest of the ingredients after cooking the onions for 10 hours and continue cooking for a couple more hours. 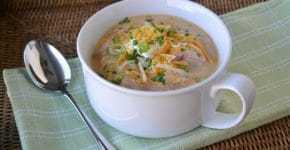 Ladle into soup crocks and top with bread and cheese. Pop under the broiler until the cheese is nice and bubbly.